Long and sleek! 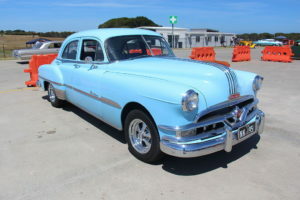 With Elvis as the hero of the day during the 1950s, whatever he drove become the car of the day. And Elvis loved the glamour that shiny new tail-fins exhibited. His fans loved them, too, which led to over thirty heart-stopping models being designed during the 1950s. No one cared back then whether cars were gas-guzzlers or whether the paint job would last, or whether the shiny chrome that protruded out the back begged to have dents inserted within the first few weeks. The appeal of cars during the 1950s was more than just Elvis. It was prestige and glamour for even the average working person. The feeling of luxury seeped into one’s feelings and emotions, and romance bloomed with respect while riding in these elegant vehicles. 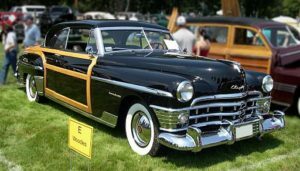 The Chrysler Town & Country Newport coupe which came out in 1950 didn’t have fins (they started creeping into the design around 1952). Yet it wasn’t the typical car of the 1940s. Almost a dinosaur compared to today’s styles, the Newport featured distinctive, external wood framing (referred to as being a ‘Woodie’) and strongly appealed to the hunter and sportsmen. Pontiac had a mascot – an Indian Chief– whose unsmiling face formed the base of the front hood. His headdress consisted of streaks of chrome sliding back over the hood and being picked up again on the trunk. Sleek looking! Everyone wanted a car with a personality, and the Indian Chief gave the Pontiac one. Because the cars of the early 1950s had a somewhat dowdy appearance but reflected the potential of sparkling glamour, car designers became aggressive in their creativity. By 1957 and 1958 the designers produced disastrously overblown responses. Sharp clean fins reached in all directions. They were streaked with chrome, and somewhere in the middle a body was grafted into them. Bright yellows! Passionate reds! Baby blues! And regardless of the weather where one lived, convertibles were in, even if you never lowered the top. The intense competition among the car manufacturers meant that each model became extinct quickly. Planned obsolescence meant the customers had to choose between buying a new car each year or being a social leper. 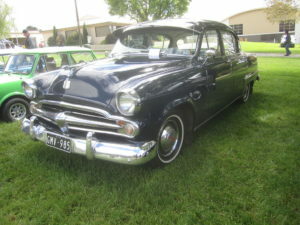 Because of the expense of redesigning all models every year, the manufacturers took to keeping the inner workings of the cars basically the same and only changing the outward look. 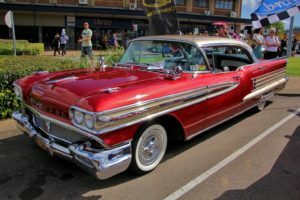 By 1958 some models,such as the 1958 Oldsmobile, were beginning to be called ‘ugly.’ Some even said it looked like a brick with a hardtop sitting on it. However, the indented chrome on the doors still caught one’s eye of respect. All systems self-destruct from within. The era of the glamour cars had outdone itself and common sense dictated that what would follow in the 1960s would be based on performance, a concern for the environment, and conservative packaging. During the 1960s people weren’t impressed with external appearances to the exclusion of what existed underneath. This attitude was reflected towards both people and cars. Yet, who will ever forget Elvis? 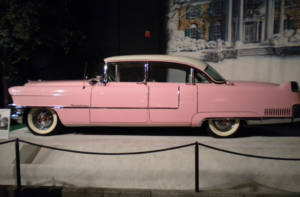 Or the glamour cars of the 1950s? Graeme Notega is the owner of CarsUlike which tackles all motoring issues. For more information, go to http://www.acarsz.com.